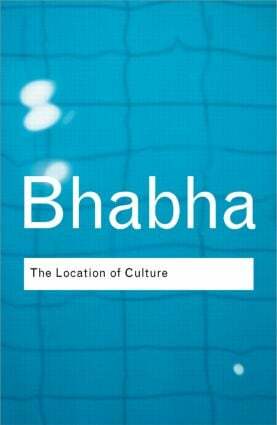 Acknowledgements, Introduction: Locations of culture, 1. The commitment to theory, 2. Interrogating identity: Frantz Fanon and the postcolonial prerogative, 3. The other question: Stereotype, discrimination and the discourse of colonialism, 4. Of mimicry and man: The ambivalence of colonial discourse, 5. Sly civility, 6. Signs taken for wonders: Questions of ambivalence and authority under a tree outside Delhi, May 1817, 7. Articulating the archaic: Cultural difference and colonial nonsense, 8. DissemiNation: Time, narrative and the margins of the modern nation, 9. The postcolonial and the postmodern: The question of agency, 10. By bread alone: Signs of violence in the mid-nineteenth century, 11. How newness enters the world: Postmodern space, postcolonial times and the trials of cultural translation, 12. Conclusion: 'Race', time and the revision of modernity, Notes, Index.